Amazon B2B Seller Program enables sellers to sell in bulk quantities to verified Business Customers and provide them GST invoice so that they can claim the GST credit while filing the GST Return. Go to My Services page by clicking here. Click Sell as an Amazon Business Seller. 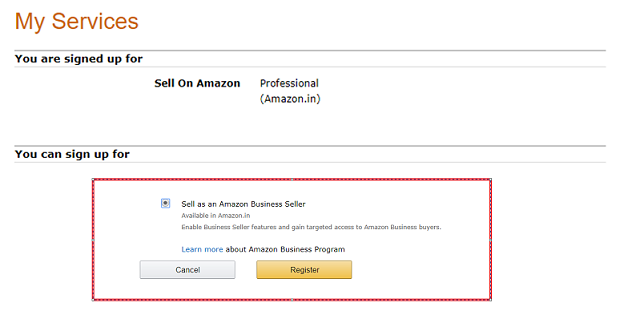 A successful registration page appears confirming your enrollment into Amazon Business Seller program. You can now view Amazon Business as one of your active services in the Your Services section. You can sell your product to the business buyers on your own condition i.e. minimum quantity for placing a B2B order. You can offer the quantity discount, percentage discount or fixed price model to the business buyer. Quantity discount refers to the pricing model based on a certain quantity purchase. Percentage discount refers to offering a certain percentage based on the quantity purchase. if you specify “At least 10 for INR 500“, then a Business Customer who purchases 10 units will pay INR 500 each. Amazon offers only 3 days to return the product across all the categories for business buyers after product delivery. However, it varies between 10 days to 30 days for retail customers, depending on the product category. Note- Categories that are non-returnable in the B2C program continue to be non-returnable for the B2B program as well. Amazon charge standard referral fee for B2B orders same as B2C but they announce some discount on referral fee time to time. Q. 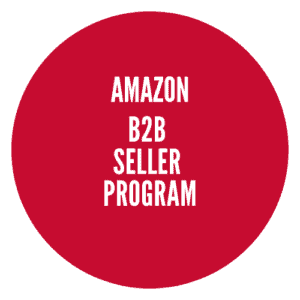 What is the Amazon Business (B2B) Seller Program? Amazon Business (B2B) is a new launch on the Amazon.in marketplace to serve the needs of Business Customers. Sellers can expand their B2B sales on Amazon.in with exclusive ways to target Business Customers. Amazon Verified Business Customers benefit from business-tailored features such as Business Price, Quantity Discounts, Business compliant Invoices, and Business Only Offers. Q. Who is an Amazon Verified Business Customer? Amazon Verified Business Customer is a customer who has completed the business account registration process, provided valid business license details and has been verified by Amazon based on publicly available data. Q. What are the main differences between the Amazon Business (B2B) Seller Program and Selling on Amazon (B2C)? 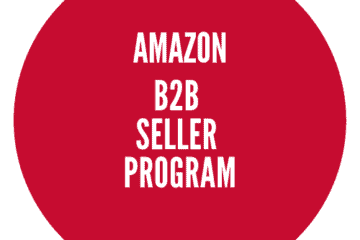 The Amazon Business (B2B) Seller Program allows sellers to cater to the specific requirements of Business Customers by providing exclusive features optimized for business-to-business transactions. Q. Who is eligible to join the Amazon Business (B2B) Seller Program? All existing Sellers on Amazon.in are eligible to join the Amazon Business (B2B) Seller Program, provided they have the corporate authorizations and licensing capability to sell to Business customers. Business Invoice badge will be enabled only for B2B offers so that Business Customers can choose to buy only those offers where they can get Business Invoice. Q. How much does it cost to sell products as an Amazon Business (B2B) Seller? The standard Fee Schedule on Amazon.in is applicable to Amazon Business (B2B) Sellers also. However, you get exclusive access to Discounted Referral Fees on select categories for bulk B2B orders. Click here to know more about the Discounted Referral Fee. Q. 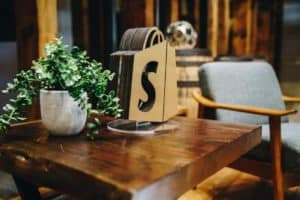 How do I join the Amazon Business (B2B) Seller Program? Click here to Register on Amazon and create a Selling account on Seller Central. Upon successful registration, you don’t need any additional documents to enroll in Amazon Business (B2B) Seller Program. 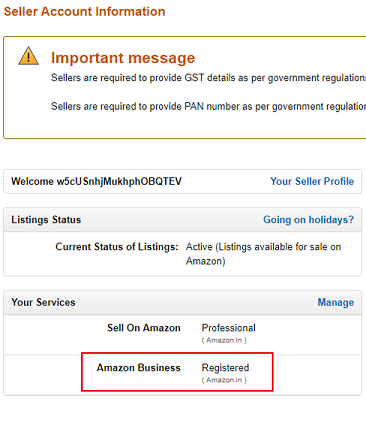 All you need to do is visit the My Services page (Settings > Account Info > My Services) on your Seller Central account and agree to the Terms & Conditions of the Amazon Business (B2B) Selling Program. Q. Can I enroll in the Amazon Business (B2B) Seller Program directly without creating a B2C Selling Account? No, you have to first Register on Amazon and create a selling account. 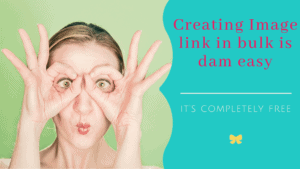 Only then, you can opt-in to the Amazon Business (B2B) Seller Program. Q. Can I use FBA for fulfilling orders on Amazon Business (B2B) Seller Program? Yes, you can use FBA to fulfill Business-to-Business (B2B) orders as well. Q. What will change in Seller Central for an Amazon Business (B2B) Seller? The overall functionality of Seller Central will not change. 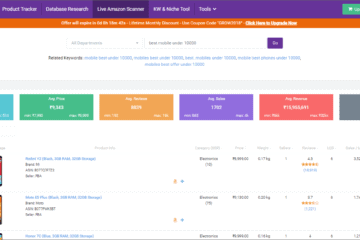 You will begin to see new business features in Seller Central. For example, features such as Business Price and Quantity will be available on your ‘Manage Inventory’ page. Q. Where do I manage my Business-to-Business inventory? You do not need to keep a different inventory earmarked for business orders. Your existing inventory specified in Seller Central account (whether listed under FBA or not) can be considered for B2B as well. Q. How should I file tax returns for my B2B Orders? You are required to file tax returns at a transaction level for every B2B order and mention the Business Customer’s GSTIN as mentioned in the B2B Reports (Go to Reports > Tax Document Library > Merchant Tax Report > B2B Reports) available in seller central. This is mandatory to enable Business Customers to claim the tax credit. Q. How do I cancel my Amazon Business (B2B) Seller status? You may opt out of the Amazon Business (B2B) Seller Program at any point. You can go to My Services page (Settings > Account Info > My Services) in Seller Central to opt out of the program. This only removes the business-to-business-specific features in your Seller Central account and does not cancel or impact your professional seller account. Please reach out to the Seller Support for any further queries. Q. What is Business Price? How is it different from “Regular price or Retail Price”? Business Price is a discounted price that Amazon Business (B2B) Sellers can offer to their Business Customers. This price will be available/visible only to Business Customers. “Regular price” or “Standard Price” or “Retail Price” is the retail price for your product for all Amazon customers who are non – Business entities, and who purchase products for their personal use and not for resale. Your Business Price cannot be higher than your Regular Price but can be equal to the Regular Price. Q. Can a product have a Business Price and a Regular Price? Yes. Business Price can exist in addition to the Regular Price. Q. Can Business Customers purchase my product if there is no Business Price? Yes. As a Business Seller, if you do not provide a Business Price for your products, Business Customers can purchase your products at your Retail Price. Q. What are Quantity Discounts? Quantity Discounts are discounts extended by the Business (B2B) Sellers to encourage Business Customers to buy in bulk quantities. Q. How do I identify a Business Order? A Business Buyer icon that appears next to order ID indicates that it is a business order. Go to Manage Orders and look for the Business Buyer label to the right of the Order ID. Q. What is Business Invoice? 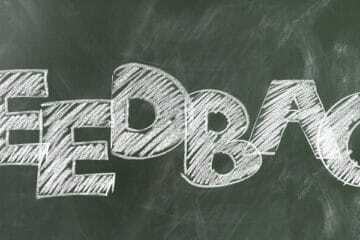 Do I need to provide Business Invoice to a Business Customer for the products sold on Retail Price? Business Invoice generated contains Customer’s Business Name, GST number (if any) and Purchase Order number. Yes, you are required to provide Business Invoice to a Business Customer even if the product is sold for a Retail Price. Q. What is Business Only Offer? While the Business Price and Quantity Discounts that you set will be visible only to business customers, the Regular Price would still be visible to all customers. However, if you wish to make an offer only to business customers, you can do so by providing only a Business Price and no Regular Price.